South Korea is saying goodbye to its immigrating citizens like never before. Some are leaving to avoid unemployment; others are just tired of the competitive nature of Korean society. According to data from the country’s Ministry of Justice, 52,093 people gave up their Korean citizenship from 2013 to July of 2015. Last year, 1,332 people renounced their South Korean citizenship, a 95 percent increase from 677 in 2014. An additional 18,150 dual citizens chose to let go of their South Korean citizenship — 61 percent of those dual citizens lived in the United States. Eighteen percent lived in Canada; 11 percent in Japan; and 6 percent in Australia. In contrast, applications for South Korean citizenship have been on a yearly decline since 2011. Just over 17,000 people became Korean citizens last year, a 25 percent decrease from 2013′s 21,266 people. South Korea is currently undergoing a job market crisis. Youth unemployment hit a 15-year-high this year, meaning fresh-faced college grads are struggling more than ever in a notoriously high-stress, overtime-binging working culture. Jung, a 27-year-old trying to find a job, said he lost hope after seeing his resume rejected even after trying his best. “I’m planning on leaving to another country, where there are more opportunities,” he said. Anxious parents, too, are looking overseas, driven by worries of an unstable future for their children. Cho is a 46-year-old parent who immigrated to the Philippines. Park So-yeon, a head of Kukje Immigration Development Corp., an education consulting and immigration service firm with a branch in the United States, said people in their 20s have been asking more about permanent residency overseas as a result of unemployment more than the traditional questions about international study programs. “People in their 30s who were in international programs, and people in their 40s who are facing early retirement, are preparing for immigration,” Park said. This is what happens when a people treat their own nation ONLY ECONOMICALLY. Koreans have lost the sense that Korea has value as motherland, the land where their ancestors are buried, the land where their people lived for 1000s of yrs, the land that made them what they are racially, culturally, and historically through both tragedies and triumphs. But Koreans have no such appreciation of their nation because they are only fixated on money and status. Radical economism has been harmful to the Korean soul. Koreans need patriotism and humanism. A nation’s true value is about race, culture, and history. Property values in North Korea are much lower than in South Korea in economic terms, but in cultural and historical terms, North Korea is no less priceless as South Korea. Seen purely economically, some nations are richer than other nations. But seen patriotically, even a poor nation is of priceless value to people of that nation. A true patriot loves his nation even if it is poor because the patriotic value of a nation transcends its material value. Though Korean economy may grow rich or poor in dollar terms, the true value of Korean nation is not subject to the stock market. But Koreans are not raised with such a historical and cultural view of their nation and their identity. Corrupted by globalism and materialism, they only judge the worth of each other and their nation according to the Dollar and Class. Koreans who give up their identity and nationality — the rich legacy of 1000 yrs — just to make more money in some other nation are freely doing what the Japanese once forced the Koreans to do during colonization. Japanese forced the Koreans to stop being Korean. Japanese forced Koreans to give up Koreanness. Today, globalized Koreans are freely choosing to reject their Koreanness. Some do it by getting plastic surgery and hair-dyeing to look un-Korean. And some do it by abandoning Korea to become a citizen of another nation. It is a good thing that Koreans travel around the world and seek opportunities elsewhere. But to outright reject their Korean identity and citizenship to make more money in another country is shameful. After all, Korea is not like China or India with billions of people. Koreans have just a fixed number of people who, by the way, have very low birthrates. So, EVERY KOREAN counts. So, it should be a patriotic obligation of all Koreans to keep their identity and citizenship. Even as they seek work in other nations, they should see Korea as their homeland and eventually return. Otherwise, Koreans have been utterly corrupted, deracinated, and made anemic by globalism, materialism, and hedonism. Go to every major cities in the US, there will be a “Koreatown”, where Koreans choose to live. It is not because they have to but because they want to. We should be happy that younger Koreans wants to explore and spread Korean Culture to the rest of the world by participating in globalism. It is also the fault of the Korean Government. When a Korean citizen applies for a green card in another country, benefits his or her Korea citizenship gets taken away and is not restored until that person become a citizen of another country. This is from a personal experience. “Koreans have no such appreciation of their nation” bahaha it made me laugh so hard. Have you ever studied Korean history? Or, any other East Asian history. Those countries in East Asia always harvested, used up people for their own purpose after brainwashing them with nationalism. What do they need to appreciate? Not killing them and enslave them in legal status? Korean Abroad, you are coming dangerously close to projecting your Korean standards onto Canada and the U.S. I live in Canada and have had relatives all the way back to confederation, but STILL I get asked where I’m from meaning my Scottish/English heritage. This doesn’t mean I’m not accepted as a Canadian. I doubt there’s a place on Earth where you’d be accepted as a local more quickly. I’ve lived in Korea for a dozen years and that was easily the biggest difference. Even Koreans who don’t LOOK like Koreans aren’t accepted by others. Koreans are well known for being xenophobic. That’s why they set up Koreatowns. That’s why a lot of Koreans are leaving Korea. And that’s why even your own Park Ki Mun, U.N. secretary general admits that this is one thing Koreans really need to work on. It hurts Korea as much as foreigners. Actually this report is very deceiving as it doesn’t give us any figures for the number of Koreans actually leaving Korea. It’s only giving us the figures for Koreans who have renounced their citizenship.. this includes Zainichi Koreans in Japan who technically should be Japanese citizens but can only become Japanese citizens once they marry a Japanese citizen. For example, one of my Zainichi Korean friends married a Japanese woman last year and finally became a Japanese citizen. The number of Koreans renouncing their Korean citizenship has actually been constant, mostly due to Zainichi Koreans and, to a smaller extent, due to other Koreans abroad in the US, Canada, New Zealand, Australia, etc. Only 249 Koreans left Korea for another country in 2014, a record low, even lower than the previous record low of 302 people in 2013. Looks like 99% of the new Koreans we see in western countries are actually on temporary visas such as education or working visas. Even after the Sewol disaster, a record low number of Koreans emigrated to another country, mostly to the US (which I think is a poor decision, unless they’re filthy rich. Even then Korea is the best country to live in if you’re filthy rich. So I think most of the people who emigrated to the US were probably clueless Koreans who were of average or low income). There were sensationalist stories of Korean immigration offices and support groups saying that they were getting calls form Koreans about emigrating abroad, some sources saying that their call volumes were through the roof. But the truth is totally different. 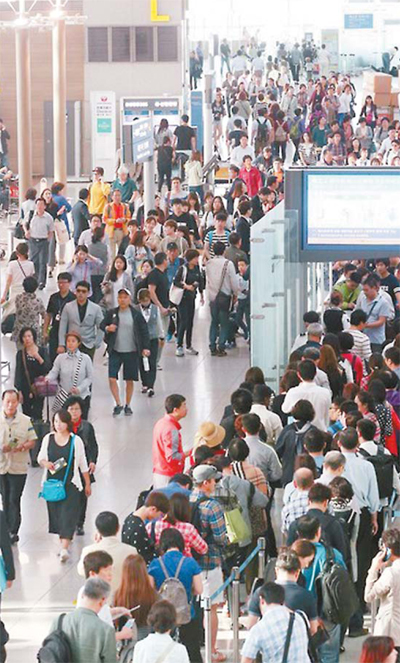 The number of Koreans leaving Korea for another country fell to a record low in 2014. And this trend will only continue as Korea’s GDP per capita surpasses that of Japan’s. 2. The numbers quoted by KoreaUSTimes are the figures for Koreans living everywhere in the world renouncing their Korean citizenship (this includes the massive amounts of Korean immigrants living in the US, Australia, Canada, Europe, China, HK, Japan, etc who have lived in these countries for years or even decades without renouncing their Korean citizenship and have now decided to do so). Therefore, we can see that the figure quoted by Yonhap are what we’re looking for. Less and less Koreans living in Korea are moving abroad, which reflects the notion that Korea has achieved developed nation & advanced economy status. The numbers quoted by KoreaUSTimes are less relevant to present-day Korea. Actually, intrinsically speaking, the numbers quoted by KoreaUSTimes have nothing to do with Korea, but more to do with the fact that the Korean diaspora (who very may well be 2nd or 3rd generation Koreans) have given up Korean citizenship after years of living abroad (i.e. 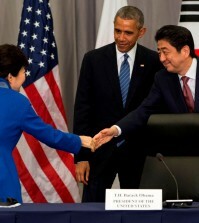 they have relatively weak relationships with Korea in the first place anyway). I’ve come across a site called the Isaac Brock Society which is a source used by Korean bloggers who brought up the issue of Korea being the nation with the largest numbers of people renouncing their citizenship. A huge proportion of the numbers of Koreans renouncing their citizenship comes from the last remnants of Zainichi Koreans marrying within Japanese society/children of such families finally reaching adult age and picking Japanese citizenship/Zainichi Koreans finally deciding to take up Japanese citizenship/giving up Korean citizenship due to discrimination or employment and the massive numbers of divorces between Korean men and Southeast Asian mail order brides. In conclusion, less and less Koreans are immigrating to other countries, however the number of Koreans renouncing their Korean citizenship may have increased slightly, but this is because most of these “Koreans” are actually Zainichi Koreans who have reached marriageable age and other Koreans who have lived overseas for a long period of time finally gaining citizenship in the other country which, by default, results in the cancelling or renunciation of Korean citizenship since Korea doesn’t allow dual citizenship. However, less Koreans are moving abroad most likely due to the fact that Korea has become a developed economy and high quality infrastructure. Many expats in Korea, and what about them? What is the different btwn them? I think the problem of Korea’s unemployment is deeply rooted on its social trend and lack of governments effort to make the small business sector attractive to young workers. First, we know that Korean economy is generally driven by huge exports. And this is based largely on Small and medium businesses. Every year korea is importing hundreds of thousands of foreign workforce to support this sector, so there are lots of jobs. But Koreans dont want those jobs. 1). SOCIAL- Because Koreans see people working on blue collar jobs as inferior and low class, even though some of those jobs pay as much as office works that most prefer. 2. GOVERNMENT SUPPORT- I think if the government have made those industrial jobs more humane, more youth would be attracted to enter that sector but those jobs currently are worst, dangerous, and dirty only foreigners laborers willing to do. Before anyone says anything about Koreans being unthoughtful, let me tell you something. It’s not just about the economy. It’s a mixture of various things: education, government, social welfare, working conditions, and more. Korean citizens distrust the Korean government for a good reason. I personally do not feel valued as an individual in Korea. The working hours are crazy, woman are still treated with prejudice, the national education track leads to one of the highest teen suicide rate internationally, and the government is not even worth talking about. One should first listen about a matter in which he or she lacks experience. I got surprised after reading the life of Koreans.We can see so many difference from the custom and culture of Koreans. I wish to write an essay about this topic with help of essay writing service reviews. Reading the headline of the article give me so sad,they were leaving their native land for many reasons.Unemployment is deeply affected their life greatly.Parents got worried about their children future,all the age groups get seriously affected. Government should take steps to reduce unemployment.Without income no one can meet their day today expenses.Due to unemployment all the spheres of their life get difficulty.Korens can’t stay at their land due to unemployment,this is a most serious topic that the country is facing now. Koreans are very crazy people and they have extreme character, due to their history,geography and culture.They can’t stay in this historic land due to unemployment.Government should take quick actions in this issue. its so much pathetic. the korein goverments should fine a solution to this problem. the unemployment should be tolerated. every people should work in their own country. The immigrating citizens are leaving south Korea because the country is currently undergoing job crisis. Hope South Korea will over come this job market crisis. 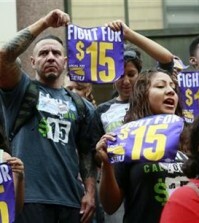 Recession and other job market crisis will increase the unemployment rate. Due to this job crisis, the immigrating citizens left South Korea. We have more details here. I don’t see the point of South Koreans going to the USA when Trump and his business cronies will make the workplace just as stressful and dangerous. Funny, how the USA doesn’t value blue collar jobs like welding and yet, the employers are complaining about the lack of skilled workers considering the fact American employers stress white collar jobs and completely dis-invested themselves from the American economy and education system. Nice post.i really like to read this blog.its include relevant and normal informations.its such a very nice blog.thanku so much for sharing such a good blog. I really like to visit your site it such a very good informations.it include relevant information.i am a health employee.i will be take a yoga class for all the people.the class should be free.in last two month i will work in a south korea.it such a very good experience. This blog describe about the citizens in south korea.it explained about clearly.employed based informations are included.i will suggest a online fee payment for all the employe.its very easy for receiving and transfering the cash.the time will be safe. Grab the opportunity get the gems and gold coins to make your players profile more interesting these gems and coin will help you to improve your gaming also. Clearly written and really useful. I am glad you took the time to post this because it was extremely helpful. I just glad to be here read this stuff, but now i need some more information thanks for share with us. We know how hard it is to leave our place. We just leaves everything without any attachments. Korean society have not even understand why they were leaving their place without any reason. Some people have a reason behind their placements. Thank you for this posting, I love your wisdom here. I am a mum of a daughter who has just gone to Uni I have had my own feelings of anxiety about this!. I also help children and young people with transitions, I would love to be able to share this with others who I know will find it useful. I hope this transition is a good one. I really appreciate your blog and article to get hacks and cheat codes of monster warlord hack for free of cost than visit our website on us. Does citizenship move will make our lives better? Is it quite natural to happen in south korea which incidentally is one of the major countries in asia? Does such a thing would make the country better? It could be the person who left the south korea is the best in the future.
. They are professional team of writers and may help you. This article was very nice and helpful as well as interesting and add my insights, thank you very much admin and pardon me permission to share articles herein may be useful to you in particular are looking for. koreans are leaving korea what is the reason why They are leaving the korea. from here I can be a very valuable new experience. all things that are here will I make the source of reference, thank you friends. thanks for share, from here I have a much information. amazing, this post very useful. maybe you should make your site design unique again. today I learn from your site. I have read this post and if I could I want to suggest you some interesting things or tips. Maybe you could write next articles referring to this article. I wish to read even more things about it! Koreans are a powerful citizens and they mostly like the visitors from other country. Children and women are getting a great protection from this country. Korean people will give warm welcome to all the people from other countries,the people of Korean are funny and interesting. Korean people are very strict in all the fields,If in the case of education,job.Most of the people can live in the Korean environment. Korea is a very strong country with powerful policies and rules.Most of the visitors cannot adjust the lifestyle and rules of the people of Korea. Hi everyone! I am Naina Arora, 20 year old Escorts in Gurgaon. I am pretty looking girl. I have curvy figure with perfect body shape. Clients get satisfied with the best services provided by me. Thanks a lot for sharing such an important informations.this article is very much useful for me.i got lot of useful informations tot his article.i hope you more useful post.thank you. Nice, .i got lot of useful informations tot his article.i hope you more useful post.thank you. Way cool! Some variables! I appreciate you writing the web site that is staying to the spot in addition is extremely awesome. Place that will be outstanding. I’d like to thanks with this particular insightful read, I truly worth sharing this awesome post. This really is area that’s spectacular. Your writing type is entirely different as I want and others to say that you are carrying out an extraordinary job. It’s likely you’ve got created the position that’s been fantastic with lots of tricks that was useful. You’re doing the profession that’s astonishing. Thank you for share, some really amazing posts with this specific kind of web site that will be unique. Keep up the extraordinary bit of content, I h AS got organizations of tricks that read that I imagine your internet site is really intriguing and weblog posts with this particular kind of web site which is particular and are astonishing. I loved reading your post and have recommended this to friends and my family members. Your website is exceptional and I will keep encouraging it to my buddies. Way cool! Some points! I worth this post being composed by you plus the remaining part of the internet site is quite excellent. Superb place in the event which you were able to write on this issue, but I was wondering? I’d be extremely glad in case it’s possible to elaborate somewhat. Thanks! I had like to with this particular study which is insightful thanks, I really get discussing this place that is certainly amazing. That is awesome location. I had like with this particular study that is topical to lots of thanks, I truly value revealing this position that’s undoubtedly fantastic. Keep work up. That’s location that’s amazing. Your layout that’s creating is utterly distinguishing out of your others and that I need unquestionably to say that you just are performing a job that is fantastic. That is area that is astonishing. Your format that is making is completely recognizing out of your others and that I require undeniably to state that you simply are playing out a vocation that is fabulous. Obat wasir herbal stadium 4 Ambejoss dan zaitop merupakan salah satu obat wasir apotik yang sering di gunakan sebagai solusi alternatif untuk mengobati wasir tanpa operasi. Herbal ini mengandung bahan herbal tanpa bahan kimia obat. Salah satu kandungan abejoss adalah tanaman obat wasir buah mahkota dewa yang sangat bagus untuk membantu proses pengobatan wasir. Kandungan flavonoid sangat bagus untuk melancarkan perdaran darah dan mengurangi kandungan kolestrol serta mengurangi rasa sakit pada pendarahan dan pembengkakan. Salah satu solusi obat wasir berdarah dengan harga terjangkau dan khsiat yang luar biasa membatu meringankan wasir berdarah. Hi everyone! I am Naina Arora, 20-year-old Escorts in Gurgaon. I am a pretty looking girl. I have the curvy figure with perfect body shape. Clients get satisfied with the best services provided by me. You can see an absence of the fake alternatives of this kind because of the primary of these today’s technological innovation. Thank you for your website, I look for such content along time, now I think it is lastly. This useful content gives me a lot of recommendations it is very useful for me. Wow…you just wrote a post of my flavor so i want to thanx for it a lot. It’s been pleasure reading it. Indeed you shared really Precious Information. its a true fact that some of the people in any country looking for better opportunity out side there own country .especially in the case of Korean they are finding lucrative jobs .as mentioned in above article south Korea is under going job crisis.they are searching the best place to live.nowadays people want to leave for their children’s education and to live out their rest of their lives in relaxation.for relaxation people looking different destination and travel packages .